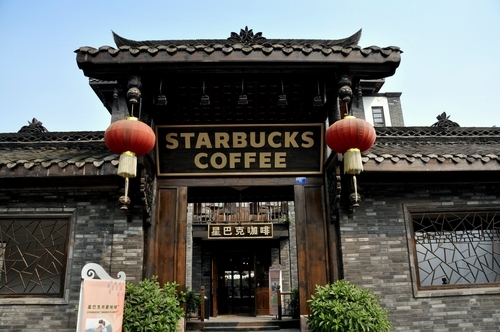 Starbucks and Chinese food and beverage maker Tingyi Holding Corp. announced that the two parties have signed a cooperation agreement under which Tingyi will manufacture and expand distribution of Starbucks ready-to-drink products in mainland China. The board of directors of Guangzhou Pharmaceutical Holdings Limited has approved Wanglaoji, its herbal tea subsidiary, to build a new factory in Ya'an, Sichuan, with an investment of CNY298 million. Chinese fruit and vegetable juice maker Huiyuan published its annual report for 2012, stating that its net profit decreased by 94.8% to CNY16.16 million during the reporting period. Sugary drinks for the Chinese populace were on the menu last week for Muhtar Kent, chairman and CEO of The Coca-Cola Company, as he announced three new bottling plants in Hohhot, Luohe and Sanshui, respectively. According to Fu Mengxi, vice president for Wal-Mart (China) Investment Co., Ltd., the company will open a new Sam's Club in Pudong, Shanghai in 2009.